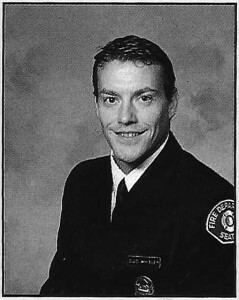 The Catastrophic fund was created after a Seattle Fire Fighter, Mark Jones, suffered life threatening, and career ending injuries when he fell down a pole hole while on duty in 2003. Because of the inadequacies of our retirement system, or any other means to cover medical costs, our brother Jones was left to fend for himself. Rallying to his aid, his fire fighter family conducted a department wide, volunteer donation effort and raised monies to start a fund. Seattle’s Bravest Charity created the Catastrophic Fund with those monies. They are used to help pay for his medical premiums. Andy Sapier, SBC’s Vice President, spearheaded an annual softball tournament in 2007, named after Mark, to add to the Fund. The tournament continues to this day. Additionally, a monthly payroll deduction was set up to give members the option to donate to the Fund on a regular basis. The Fund stands today to help any Seattle Fire Fighter who suffers an on duty injury, and who has been deemed unable to work in any capacity. Please consider donating to this valuable Fund.